Oakcliff Sailing will be back for the 2018 Atlantic Cup! Oakcliff will use the race to give top up and coming sailors from their program a chance to race alongside veteran offshore sailors. Oakcliff’s team members are still to be determined, so stay tuned for that announcement! Yes, I played Water Polo, Swimming, Baseball, Golf, Cross Country Mountain Biking, Cross Country Running and competed in Triathlons. As a sailor and an Eagle Scout I have been all over the planet on land and on the water which has let me glimpse the impact we have as humans. We have done a lot of harm already and while science is making it easier and easier to be more eco-friendly it is everyone’s job to do their part. Personally, I try to reduce the consumables I use by not using single use water bottles, not using straws, refusing a bag at the store, utilizing materials in the shop in an efficient manner and also spreading the word to everyone I come in contact with. You don’t need to radically change your life or your habits to do your part, there are a couple things that are easy to take out of your life and will make a huge impact to keep our oceans clean. The top three things to change would be to use reusable water bottles and coffee mugs, refuse single use plastic products whenever possible (straws, silverware, bags, etc) and try to use power efficiently around you whether it is turning off a light when you aren’t using it or rethinking your heating and cooling in your residence. Refuse plastic straws and only use reusable straws if you must. We are the youngest team to compete in this year’s race and want to show the older teams that we have what it takes to win! Over the past two years I have been on some of the toughest races from an intense Chicago Mac race on a 32 foot sport boat, to incredibly varied conditions during races around Long Island. I also train at the gym five times a week and help run our fleet of close to one hundred boats at Oakcliff Sailing in Oyster Bay, NY to gain the skills necessary to be best all-around sailor I can be. Shorthanded racing really is the truest test of any sailor because you need to be able to excel at all jobs on the boat to make the boat go as fast as possible, while also being able to fix anything that may break while racing. In addition to that you are almost always sleep deprived, hungry, exhausted, constantly thinking about the next maneuver, keeping ahead of the competition and making the best of what Mother Nature throws at you! The first challenge is getting out of the harbor which is notorious for fast currents and marine traffic everywhere. Whoever gets out of the harbor first and into the weather at sea will have a huge advantage on the fleet. From there it is a sprint north where the exhausted sailors will have to be on the lookout for lobster pots and fisherman. I completed the small boat sailing merit badge over the course of a one week scouting camp when I was about 12 years old. After that, I did not start sailing until my sophomore year of college in Rhode Island. I was always involved with sports as a kid and when I went to Johnson & Wales in Providence, Rhode Island I joined the sailing team and worked hard to climb the roster to compete in a couple regattas. I wouldn’t say I am superstitious but that is mostly because I am busy looking at the weather and constantly working on the boat until we cast off from the dock. 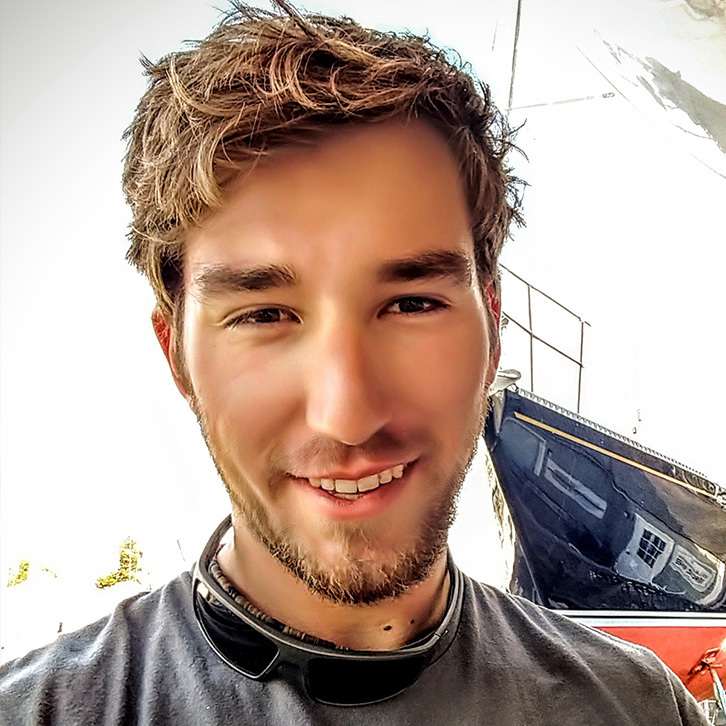 I met Ethan at Oakcliff Sailing when I was in the sapling program which he just took part in the previous year and was hired on as a staff member and boat captain for Oakcliff Farr 40 Blue. Ethan is a very calm individual and takes any problem in stride. He is especially good with the mechanical aspects of the boat and is a great bow to stern sailor. 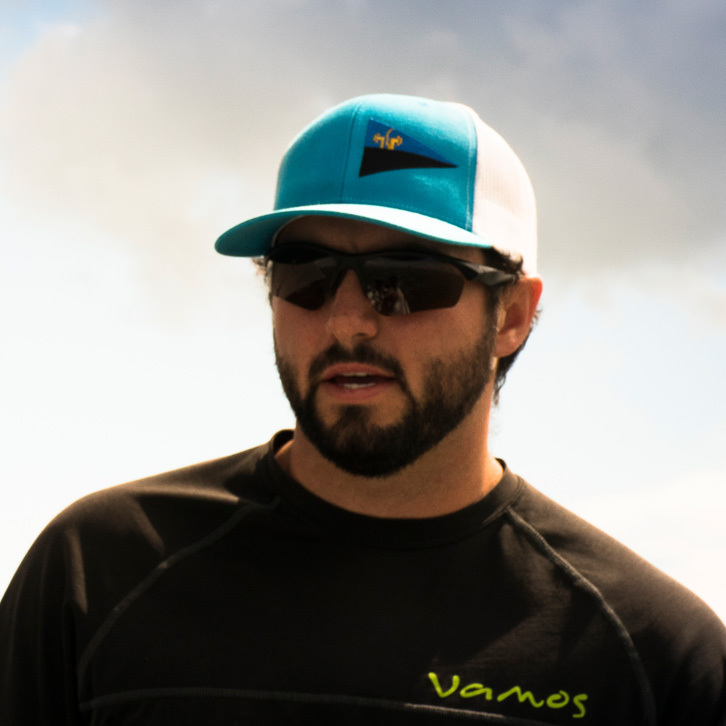 I have lots of experience with driving at all speeds as well as a good understanding of navigation and how to optimize the boat for current conditions. I also have a good sense of how my body is feeling and am able to manage energy levels well. I enjoy the challenge of making the boat go as fast as possible at all times while also enjoying the epic sunrises and sunsets that you get to experience offshore. My least favorite part of being offshore is that when you get wet it is very hard to ever get dry again. Getting injured or hitting something in the water. We are pretty humble and understand when each other are getting tired. We also have similar strengths when it comes to sailing so we usually understand what the other is doing and can assist when needed. The lack of experience in the boat itself even though we have plenty of time and experience racing together. We will be doing a good amount of training before hand and should be at speed when the race starts. I would like to say we have a shot at the podium during our leg of the offshore since a lot of the area is home waters to us. It will depend on how well we can get up to speed, but we do have a lot of strength and stamina to push hard during the leg. I would say Eärendil has a great chance as they have been fast and on a hot streak after the Caribbean 600 as well coming in second last edition. I also wouldn’t count out Dragon or Toothface 2! Absolutely false, if you do not sleep you are certain to make bad decisions, become lazy about sail trim and fall behind. You need to sleep as much as possible when the going is easy, so when it gets rough you can make gains on the fleet. Like all sailing you need to be on top of what the conditions are doing and try to be just ahead of it in terms of reducing sail area or changing sails. We will definitely take down any sails we know that have holes or issues and repair as quick as possible to get back to racing at 100%. What do you do to relax during your free time? – When I am not sailing I love watching movies, learning a new skill or going to the gym. Do you have any hidden talents (i.e. juggling, rock climbing, dancing, cooking)? – I have a culinary degree with concentrations in baking and pastry as well as beverage management. I played Baseball for six years before High School Sailing. Taking care of the planet means not only doing everything possible that we can to minimize our impacts globally, but to do everything we can to restore the planet for future generations. I would say that if we keep on the current trend of plastic waste and other mass contributors to climate change that the next generation might not have an Atlantic Cup. I hope everyone already knows to recycle, however I want our fans to go a step further! If you have the option don’t by plastic at all. If you have the option at the store between paper and plastic. Choose Paper! Ask for no straw! Use a reusable water bottle! All of the kids should vote for our team not only because we are the youngest, but our team is representing the highest level of training in the Nations sailing, coming from Oakcliff training center in New York. What makes me tough enough is a fully involved training regiment not just going to the gym every day but doing all of the work on our race boats. At Oakcliff Sean and I eat, breathe, and live sailboat racing. Short-handed sailing is everything you have to do in a regular race except you have to stay two to three steps farther ahead. I am not superstitious before a race. There are a lot of things that happen before and during a race, and a positive focused attitude keeps me from having to be superstitious. There are many races that I have won, however a big highlight for me would be winning the around long island regatta in 2016 which was the first time my co-skipper and I raced double-handed together. My biggest goal is the Volvo Ocean Race. In 2018 we have already kicked off our season in February with a win during the Miami to Havana Race. Lined up after the Atlantic Cup is a full racing schedule including the 2018 Newport to Bermuda Race. I met my skipper at Oakcliff in 2015 and we started racing together from the beginning. My co-skipper is a go getter, very focused, and won’t ever give up. My strengths are that I am also very focused, positive, and hard working. I love the challenges and endless variables when racing offshore. Decisions have to be made constantly and each one could make or break the race. What I like the least when there isn’t enough food onboard. I actually love being on deck whether I am alone or not, however a fear should be of getting washed off the deck. Staying clipped in and safe during maneuvers is what makes me not have to think about that fear though. What makes us a great team is that we know our limits and can get through any challenges that are thrown our way. Our training and everyday work at Oakcliff has really kept our problems solving skills very sharp. The biggest challenge I see in this race and for the boat would be light wind. We rate our chances very high, our team has a lot of energy and endurance. If you don’t sleep you will lose. If a team doesn’t keep track of there sleep levels and communicate how they are feeling during the race, a team can easily make poor decisions and can even become dangerous. We have a great set of sails for our boat this year, however pushing the sails and boat over the limit could easily cost us the race. My favorite sports team is actually Vestas 11th hour racing, currently sailing in the Volvo Ocean Race. My favorite type of Music really varies on what I’m doing. When I’m sailing I really enjoy country music. My favorite song is “Meant to Live” by Switchfoot. If I could meat anyone living or dead, I would want to meet Gal Gadot. My favorite thing to eat offshore is freeze dried Chicken Stew with Parmesan Cheese. Least favorite is Oatmeal. My favorite movie line is “You’re going to need a bigger boat!” JAWS. I love to spend my time on the water to relaxing with friends or going to explore new places. Adventure is my way of relaxing. My hidden talents are photography and woodworking. A lot ! The archipelago of Saint-Pierre et Miquelon where I live is at the forefront of maritime life treasures. This heritage is relatively fragile and we are committed to preserving it. “ No water, no life. No blue, no green.”- A citation of Sylvia Earle. Paperless global organization on board, avoiding plastic bottles and straws, choose reusable items if possible… the list could be long ! Because our team is developing the same concept on our tiny islands with it’s 400+ members at the Sailing School where sailing lessons is compulsory in their school global program. The art of performing and sailing properly while cohabiting positively in good intelligence with his team-mate. Respecting the boat which is the third person. At the age of 17 after one pro season of Hockey in France. Tour de France à la Voile on one design from 1990 to 2000 : 1st in 1994, several podiums. Champion de Course au Large (crewed) – France in 1994. Winner first leg 2003 Transat Saguenay St.Pierre les Sables d’Olonne on OPEN 50. 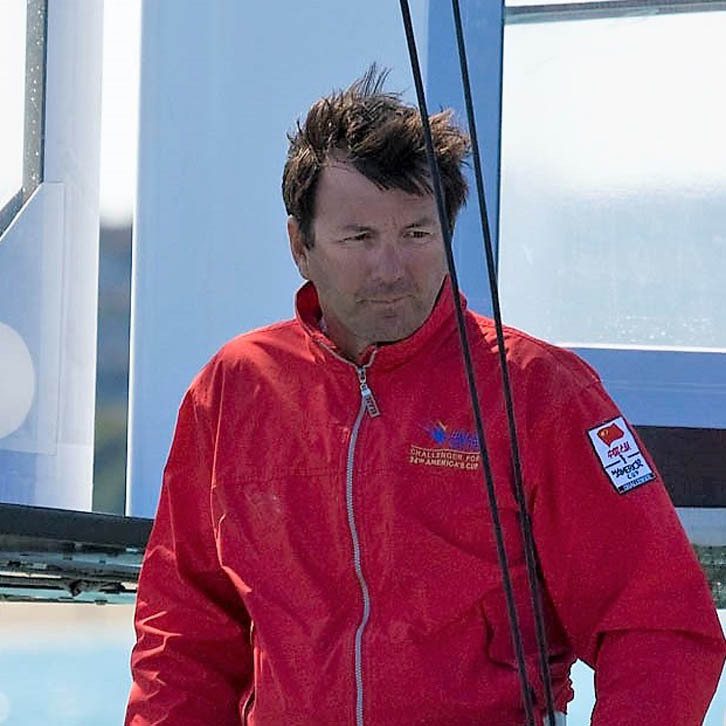 8 x ROUTE Halifax Saint-Pierre with podium each time crewed or double handed generally on 40 footers IRC. 2 time winner of Chester Race Week NS-CND on IRC 35 and 40 footer. RORC 600 in 2017 on a Class40. Many IRC regattas in Eastern and Western US coast since 2006 on 35 and 40 footers. Division winner of Marblehead to Halifax Race in 2007. Founder of ROUTE Halifax Saint-Pierre since 2002. 2nd leg of Atlantic Cup and ROUTE Halifax Saint-Pierre on a Class40. Continue our project to build a Class40 or acquire a good second-hand one to be on the circuit from 2019 with the Transat Jacques Vabre. We started sailing together in the 90’s with a number of miles in common since. He is much more experienced than me with a resume even longer than the Gulf Stream ! Sylvain is a leading sailor but especially a close friend. It’s a delicate question. Perhaps patience, pugnacity, anticipation and the art of relativizing when it is necessary without letting go. What do you like most about being offshore? The horizon, the feeling of freedom, the need to surpass yourself but to manage your fatigue. Falling overboard or hurting myself stupidly doesn’t usually occupy my thoughts! We have known each other for quite a few years and have often run regattas on the same boat with honorable results in a state of mind that brings us together. Our complementarity and our individual experiences mean that we do not always need to talk to understand each other. Training double handed on a Class40 and finishing correctly this race by respecting the boat which is not ours. How do you rate your chances in the Atlantic Cup? We come this year to test the 2nd leg of the Atlantic Cup and we will take our chances without having the big head. We remain modest, there is a platter of sailors much more experienced than us on this race. We will do our best but it is especially the fact of putting a first foot that is important to us. Who do you think is the favorite? Catherine on Eärendil. Everything depends on the distances and time at sea. Sometimes when you have to put coal in the machine there are not many windows to sleep. You have to manage it the right way but sleep is essential even in short sequences of 20 minutes here and there. The whole thing is to fall asleep quickly and to recover well otherwise you burn yourself. A good strategy must be conceived respecting the crew, the boat and the sails. 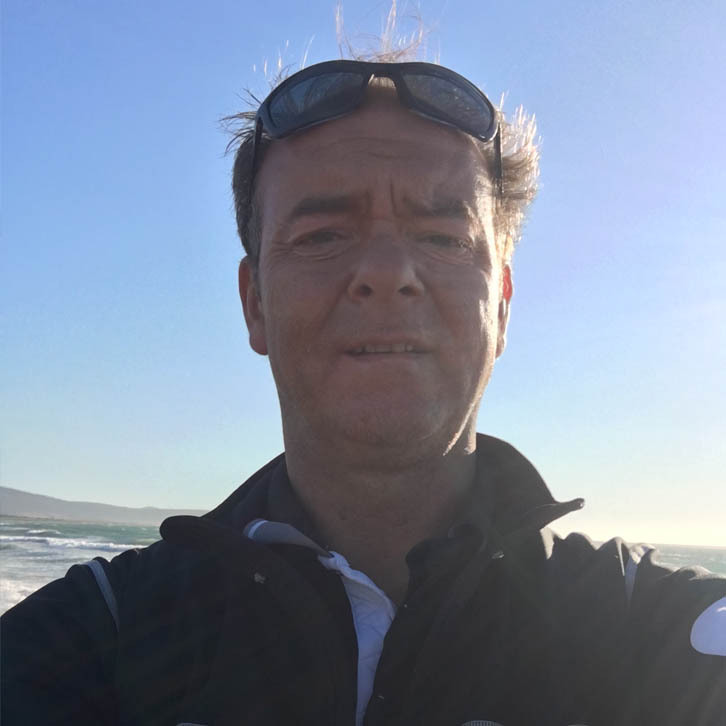 There is only one boat per team, two crew members and a limited number of sails… so you have to manage the best with these parameters but we are at least certain of one thing is that all competitors are housed in the same company! Voltaire, because “Life is tremendously boring when it is uniform”. What’s your least favorite thing to eat when you’re offshore? No sea life no land life. Our theme this year is #At Cup1Thing where we want fans to commit to doing one thing for the planet. What’s the one thing you do to protect the planet or our oceans? Keep it clean and pick up for others..
It’s natural to me, as long as I am dry! What is your biggest fear of being alone on deck? Fear,? If you could meet anyone, living or dead, who would you, want to meet?